When items leave a manufacturer’s facility, they’re typically transported in a somewhat controlled environment until they reach their intended destination. Ensuring ingredient stability throughout the distribution process is somewhat predictable. For items sold online, however, shipping methods, carriers, environmental factors, weather conditions, geographic areas and the duration of time it takes to get from point A to point B can vary widely. Ingredients such as milk, butter, cream and eggs may not be suitable for the environmental conditions that products could undergo during an online sales cycle and distribution. Using alternative ingredients that are heat and acid stable, as well as freeze-thaw stable is critical in these circumstances to reduce viscosity loss, poor textures and off flavors. 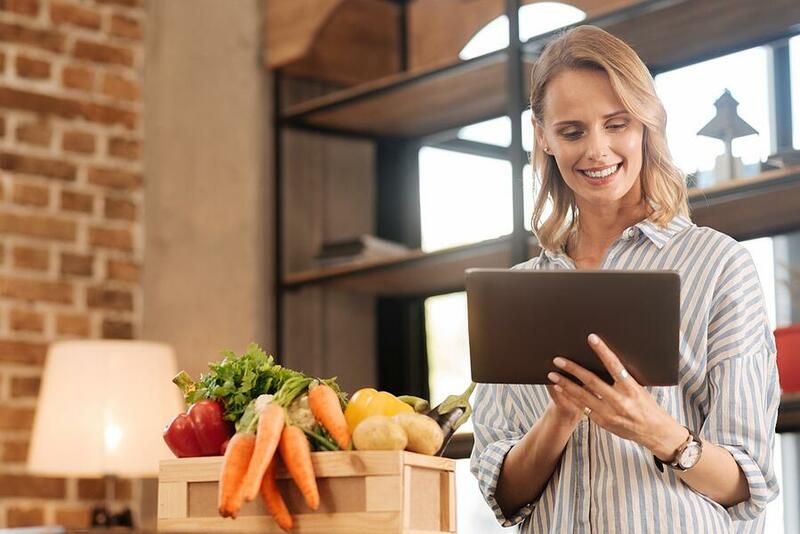 Consumers are not only purchasing boxed or canned goods online; they’re also adding fresh foods and frozen goods to their online shopping carts. Services such as Blue Apron, Amazon and others are going to great lengths to minimize spoilage and ensure the products they sell arrive as fresh as possible through the use of insulated thermal liners, refrigerants and special packaging to maintain appropriate temperatures during transit. The longer a product stays fresh, the more likely it could be sold online and the more likely it will reach a wider consumer base. Production in powdered form inherently prolongs the shelf life of ingredients compared to using fresh dairy and eggs. The use of functional whey protein should be considered as a cost-effective and consumer-friendly replacement in various applications, including dressings, soups, baked goods, refrigerated dips, snacks and frozen entrees. Compounding the difficulty for food manufacturers is the clean label movement. In one online poll, 25% of respondents said the ingredient label is most important when choosing a product, and that number continues to climb as consumers become more informed about their food choices. While some powdered agents may improve ingredient stability and extend the shelf life of a product, many contain artificial or chemical-sounding preservatives or additives which don’t meet with the approval of most consumers. An all-natural solution is Grande Bravo® functional whey protein — an easily recognizable and trusted ingredient that is a cost-effective alternative to high cost dairy and eggs. Its ability to maintain the integrity, structure and flavors of various applications is unrivaled among commodity whey products. Manufacturers will need to proactively evaluate their ingredient lists to make sure their products can meet the challenges of increasing online food sales if they want to maintain and grow market share. If you’d like to talk with one of our expert food scientists about how incorporating Grande Bravo or one of our other all-natural ingredient solutions into your formulation can help, reach out today.